By Andrew Newton Last updated Aug 3, 2018 We may get a commission for purchases made via our links. Here's why. I’m the kind of guy that notices your tie. And try as I might, I judge you for how you’re wearing it. Ties are one of the few places where a man can show some individuality and class. And it’s for this reason that they easily earn their place on our list of 50 things every man should own. Let me be clear, though. There’s nothing cool about wearing your tie at half-mast. It just looks your mother made you put it on in the first place. Let your tie make a good first impression for you. Here’s a list of different types of tie knots to consider. They run the gamut from easy to difficult, classic to unique. I skipped knots that look exactly like other knots because if you can’t tell at first glance that it’s something special then there’s really no reason to learn how to tie it in the first place. The Four In Hand is the easiest knot in the book and is definitely the best place to start. If you don’t know how to tie a tie – start here, and start now. The Four In Hand is easier than tieing your shoes. It should also only be worn until you can figure out how to do something more interesting. I got a late invite to go to one of the Mardi Gras parades in Galveston this Saturday night. In case you don’t hear back from me after this weekend, please check the gutters of Galveston. . Until then, I am trying to look respectable today with this @coppley suit and @ikebehar tie. This is my oldest suit (~15yrs) and I’ll likely be retiring it soon after a great long run. The Half Windsor is the obvious step up from the Four In Hand. It is an important part of your tie tieing education. If this is as far as you make it then at least you have two options to choose from. This is a safe knot to choose for work because it is a classic and doesn’t show off. The Windsor knot is out of fashion in many circles, and I can’t figure out why. Maybe because it’s a holdover from too many boomers dressing in their Sunday best. It takes more skill to tie a full Windsor than either the Four In Hand or the Half Windsor, and it fills out your collar quite well. Instead of trends dictating the knot I wear, I let the tie decide. Thick silk ties are going to look ridiculous in a Full Windsor because they’ll be as big as your neck. That said, the small wool tie that I wore in the Royal Canadian Air Force looks sloppy as a Four In Hand or Half Windsor. There, I said it. The difficult part with these next knots will be choosing the appropriate tie. Like with the classics, let the tie speak to you and choose the knot. Some thicknesses and patterns just aren’t going to work as a Fishbone, but they will make for a mesmerising Trinity. The Eldredge knot, as someone once told me, “is called the Merovingian in modern parlance”. Shame he was referring to the Ediety knot. And anyone using the phrase ‘modern parlance’ shouldn’t be arguing with me about using the classic names for things. 7.5 years later and that wedding tie is still learning new tricks. Had a job today with @punchtvstudios and enjoyed working with the talented @rockijean on a fun little PSA. Also got reinvigorated for what is undoubtedly my favorite job in the world: #acting. #setlife #edietyknot #dressedtoimpress Also, thank you to the lovely @lindsayhadley23 for picking the tie out and finally to @kittypuppytown for saying "yes." This knot has been brought back to the forefront by The Merovingian in The Matrix Reloaded. The fun part about this knot is that it looks like your tie is wearing a little tie. Isn’t that cute? I mean, uh, it looks ballin’. The Trinity knot is meant to look like a Celtic Trinity Knot, or Triquetra. It does a passable job, but don’t let the Celtic associations turn you off from wearing this if you have a different heritage. It has a fantastic circular feel that most knots can’t pull off. 100,000 views reached on the how to tie the #VanWijkknot. Destined to be future classic #knot. Link to my YouTube channel is mi bio. The Van Wijk has the honour of being designed by an actual artist. A variation on the older Prince Albert knot, the Van Wijk is meant to be the tallest knot possible, sporting a triple twist. The Fishbone knot is quickly becoming one of my favourite knots, beating out the Eldredge. It has same clean lines that make a solid colour bold and interesting, but also carries an unbeatable symmetry. When done properly, the Truelove knot resembles a heart. At the very least, the four distinct quadrants set this knot apart. With a striped tie and some patience, an optical illusion is almost possible by lining the stripes up perfectly. The Krasny Hourglass knot looks like something someone created by trying too hard. 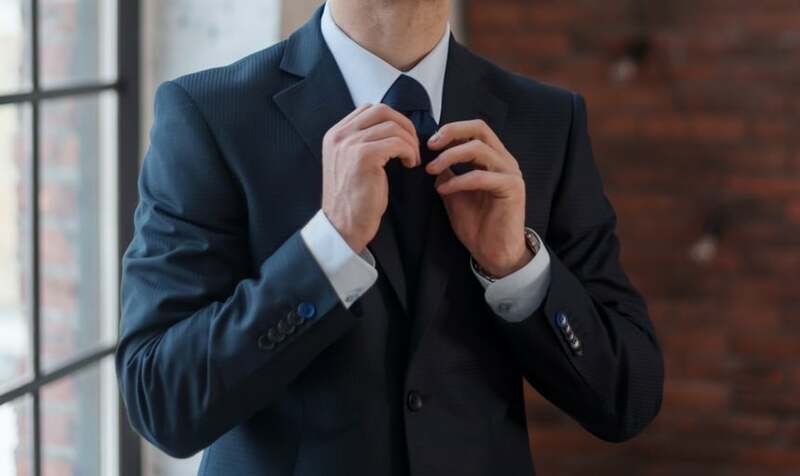 Basically a Four In Hand knot with a vertically flipped mirror image hanging below, the Krasny Hourglass is likely to garner more questions than compliments. The Cafe knot has an impressively long history, reaching back to the early 20th Century when it was worn by people frequenting, you guessed it, cafes. I like it for its overall symmetry and because it looks like a Full Windsor inside out. The Onassis knot is probably not something I will ever wear, but it needed to be included on this list because of its sheer originality. The knot itself is hidden behind the long part of the tie, so it looks like you forgot to tie the knot and just pinned it to your collar. Reserve for those pretentious occasions when everyone is going to be pulling out their Merovingian. The Four Rings knot is meant to have a loose and puffy look, which is a big part of the reason I like it. I’d probably spend way too much time in front of the mirror poking and prodding at it like I do my bow ties. The Linwood Taurus knot is one of those knots that I can’t tell if I’m impressed by or sorry for their owners. I like to stand out in a crowd with my choice of dress, but there is such a thing as trying too hard. Enter the Linwood Taurus knot. Previously reserved for Black Tie events, the bow tie has made its way into semi-formal wear. Find one in a bold colour or pattern that’ll make you stand out. I mean, stand out more than being the guy wearing a bow tie outside a formal event. The fun part about bow ties is that they are a work of art. Play with it, pull at it, make it your own. But whatever you do, skip the fakes.